Electrolyte solution to refill the liquid filled reference system of pH electrodes like the CPS41, CPS41D, CPS441. 3,0 mol or 1,5 mol KCl solution. 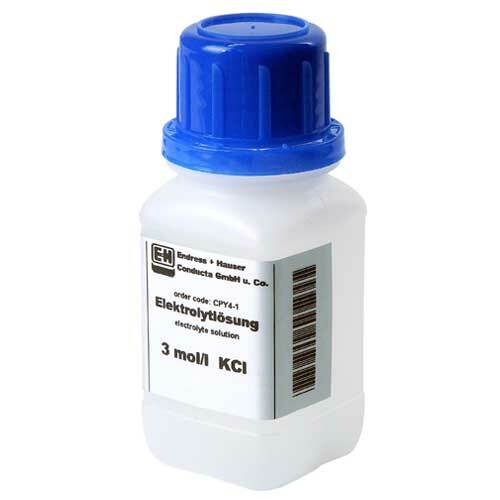 The 1,5 mol KCl solution is a mixture with ethylene glycole to increase the temperature range for liquid filled pH electrodes. Available in 100 ml or 1000 ml units.